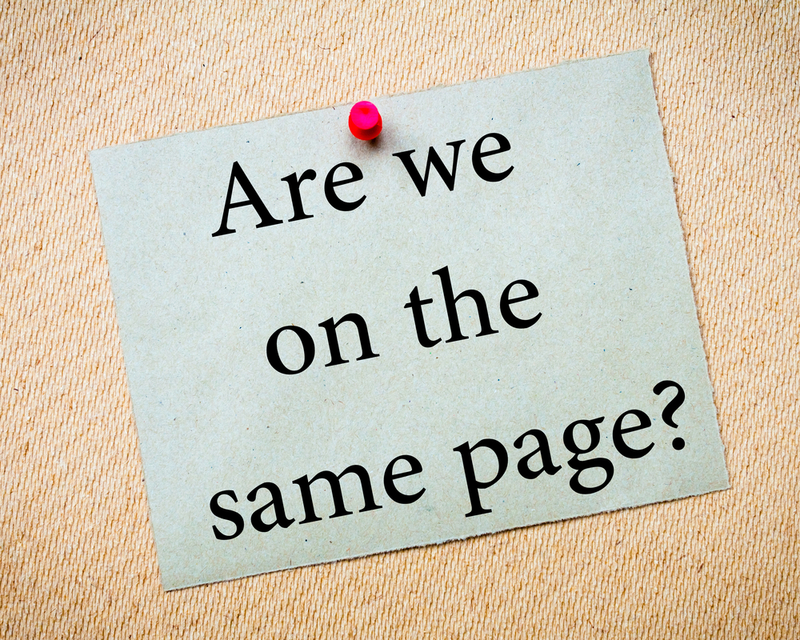 i2B online > News > Blog > Are we on the same page? Being in purchasing isn’t easy. From suppliers, to finance managers, to IT – there’s lots of balls to juggle and people to communicate with, and if you don’t have an efficient system in place, it can make running your purchasing team that much harder. Sometimes we can get so busy that we don’t take the time to step back, see the wood for the trees and think about a solution that could make our day to day lives so much easier – a purchase to pay software like i2B Connect is that solution for your business. After working with countless purchasing teams, we know the problems and challenges you face every day – firefighting through email and telephone messages, trying to update everyone about orders changing, chasing suppliers, and getting to grips with online systems. All of these issues can take up a lot of your time, and therefore cost your business a lot of money, but it doesn’t have to be that way. It’s likely you already have an ERP system in place, and you might be really happy with it. We know how vital a good ERP system is to your business and we’re not trying to suggest you replace it and use up more money – we want to save you time and money by enhancing your current ERP with our i2B Connect solution. The truth is that no matter how effective your ERP system is, an innovative purchase to pay solution like i2B Connect reaches areas in the purchasing process that your ERP just can’t, and it puts purchasing and supply chain improvement at the centre of all of your existing systems. Spend too much time waiting on suppliers to accept your order? i2B Connect shows you their response in real time. Sick of chasing to find out where your order is? We can give you real time tracking updates to eliminate this stress. Tired of receiving incorrect orders because changes haven’t been communicated to your supplier? i2B Connect updates orders automatically, and alerts suppliers to the change too so they’re instantly aware. Find it hard to access updates on your orders? Because i2B Connect is cloud based, you can access it easily any time, any place. All the purchasing information that goes through i2B Connect is shared with you and suppliers in real time, meaning you don’t have to deal with excess emails, phone calls and order fulfilment uncertainty – it’s all taken care of for you. You can reduce the time you spend manipulating dates in spreadsheets and informing vendors following an MRP run, and under- or over-deliveries from vendors can be completely eliminated. i2B Connect is a comprehensive solution that deals with the entire purchase to pay process, from the minute you submit an order, to the moment you pay the invoice for it – we’ve thought of everything, and if there’s anywhere we can make your job as a purchasing manager easier, we’ve done it for you. One of the best parts about i2B Connect is how simple and straightforward it is to integrate into your business. As we’ve stated, we want to enhance your current ERP system, not replace it, and that’s why i2B Connect can bolt on to any ERP system effortlessly, and use existing data already in that system – as well as being able to talk seamlessly with the ERP once in use. And, there’s no additional costs or training needed when setting up i2B, for you or your suppliers, meaning you can be taking advantage of the benefits it provides in minutes. We want to help you improve your purchasing process by enabling you to work smarter, not harder – i2B Connect lets you do this and more, as well as saving your business valuable time and money, every single day. To find out more about i2B Connect and how easily it can be integrated into your company, check out this fab video for more information. For a demo of our i2B Connect solution, get in touch today by calling 01740 625 258, or emailing hello@i2b-online.com.